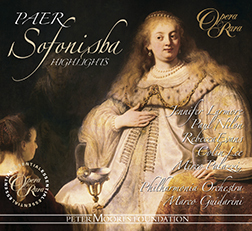 Venture beyond the four greatest names in the operatic firmament of early 19th century Italy – delve beyond Rossini, Bellini, Donizetti and Verdi – and the next two composers to come to our attention will always be Mercadante and Pacini. 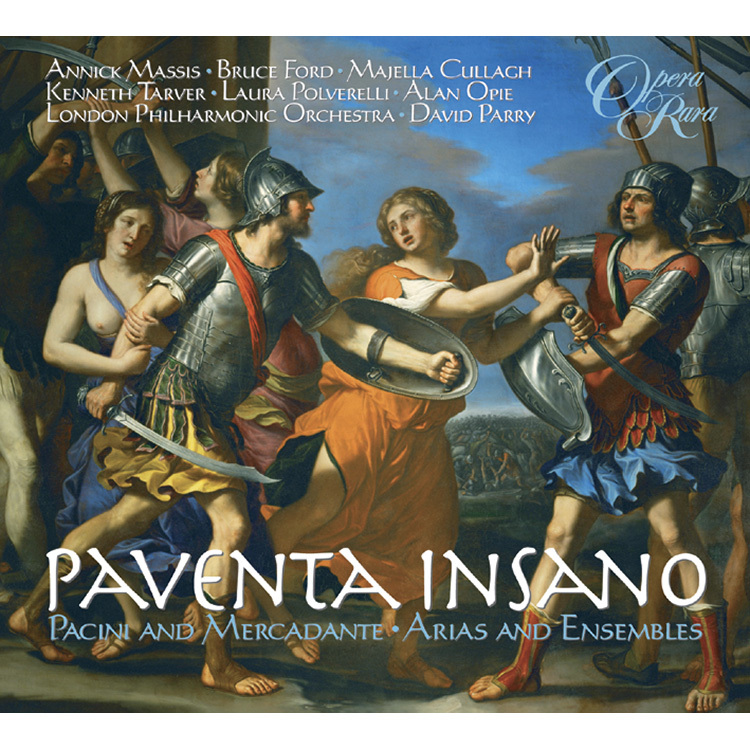 Venture beyond the four greatest names in the operatic firmament of early 19th century Italy – delve beyond Rossini, Bellini, Donizetti and Verdi – and the next two composers to come to our attention will always be Mercadante and Pacini. And more often than not they will be mentioned together in the same breath. Our own feeling – and indeed the raison d’être behind the present recording – is that there is every good reason to link their names. They were, in the first place, very close contemporaries. Saverio Mercadante was born on 17 September 1795, and Giovanni Pacini on 17 February 1796 – a difference of only five months. Both enjoyed long careers in the theatre in an age when composers were expected to churn out operas one after another. Pacini composed well over seventy operas (though not the ‘over 100’ that he himself claimed); Mercadante was hardly less productive, and has something like sixty titles to his credit. Six remarkable trios are the dominant feature of this album. 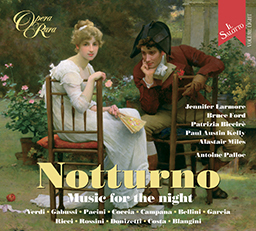 Mercadante and Pacini excel in this operatic form through the strength and beauty of their vocal writing, which at the same time allows us to understand the conflicting emotions of the characters. Both the intimate terzetto from Pacini’s Cesare in Egitto and the large-scale trio, which concludes act one of Mercadante’s Virginia demonstrate this to perfection. 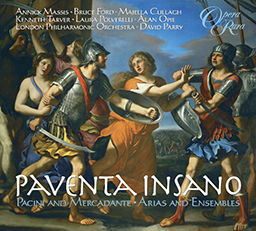 As does the charming duet from Mercadante’s Andronico with Majella Cullagh and Laura Polverelli and the all-male quartet lead by Alan Opie and Bruce Ford from Leonora. The Act 1 finale of Pacini’s Il contestabile di Chester completes this enthralling survey of two unjustly neglected giants of the 19th Century.